If you’re here, then I can safely assume that you own a few watches, or at least that you’re into them. I’m also willing to bet that you have, at least once, fantasied about designing your own. A pipedream for most, but not for Dan Henry. 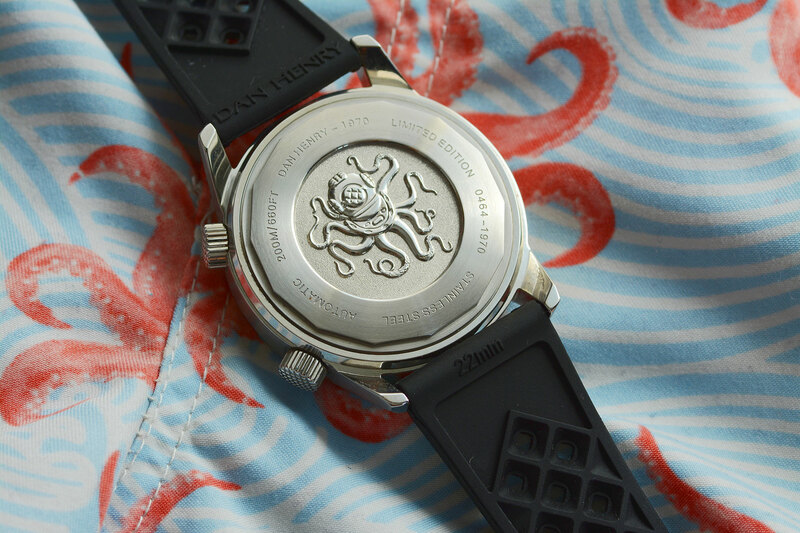 Over the course of 30 years, Dan Henry has amassed a collection of more than 1500 watches, and what began as a simple desire to share his passion with others quickly turned into the beginning of his eponymous watch company. By finding design inspiration through the often decades-old styling of his most iconic pieces, Dan Henry creates affordable, made-to-be-worn watches that capture the vintage charm he so loves. Originally released last year, the retro-inspired Dan Henry 1970 Diver Compressor featured a solidly built 44mm case with 200 metres of water resistance. 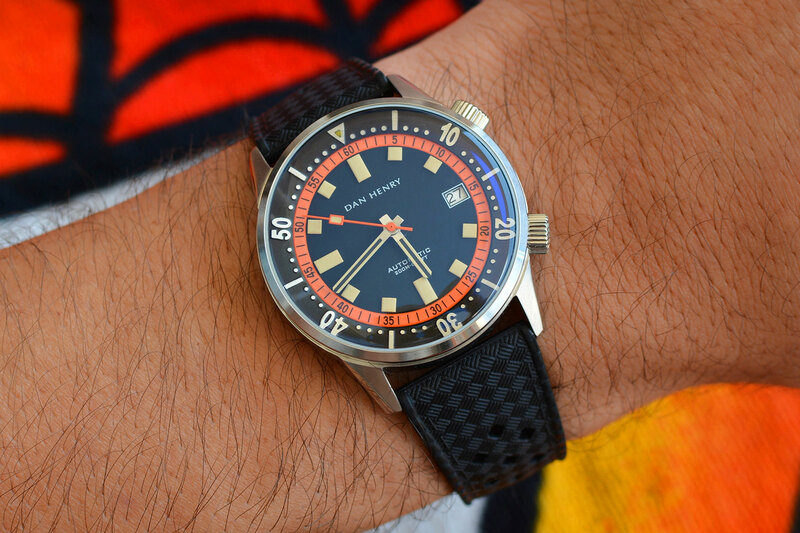 Priced at only $US250, it proved to be one of the most popular watches from the collection (if its presence all over the forums and social media is anything to go by). Still, the #watchfam wanted more, or, rather, less in this case, and forever a man of the people, Dan further refined the 1970. This year he released a smaller but no less nostalgic 40mm version. Without sacrificing any of the build quality that made the first a success, the new 1970 uses the same proportions, just shrunk down a little, giving it the same sturdy tool-watch look, but now it feels that little bit more balanced on the wrist. 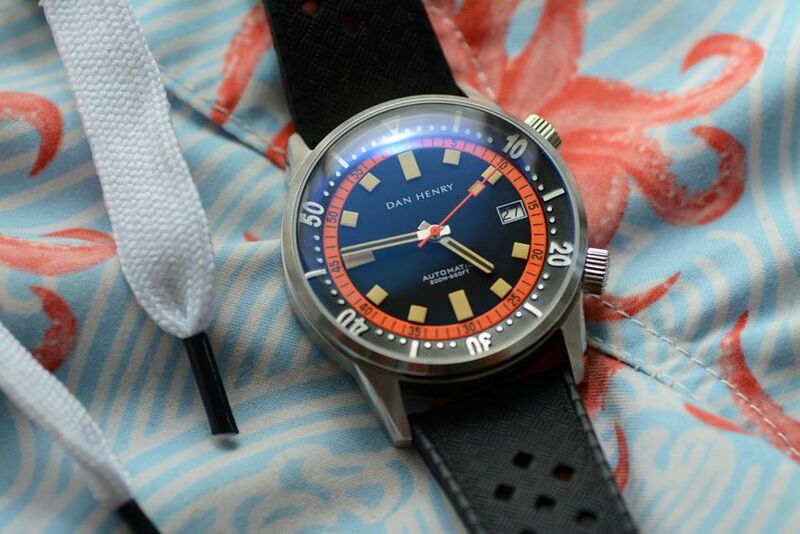 The compressor-style dive watch inspiration is clearly recognisable. The inner bezel is controlled by the crown at two o’clock, with the crown at four setting the time and date. This crown screws down to the case – adding a little extra peace of mind. If I had to fault the 1970, it would be that both crowns don’t screw down, but that’s really scraping the bottom of the barrel. Regardless, the inner bezel glides around the dial with a smoothness not normally seen at such an accessible price, and has been given an extra little slice of tan lume on the triangular zero marker. The matte-black dial is accented with a choice of grey or orange minute tracks. For me, it’s all about the extra-groovy orange, and when combined with the sapphire-coated double-domed mineral glass – which channels the vintage plexiglass crystals of the ’70s – it makes for some far-out distortions, man. Considering the price, it’s not entirely unexpected to find the workhorse Seiko NH35 movement beating away inside, as it offers value and reliability, and right now, it’s the only auto in the Dan Henry range. 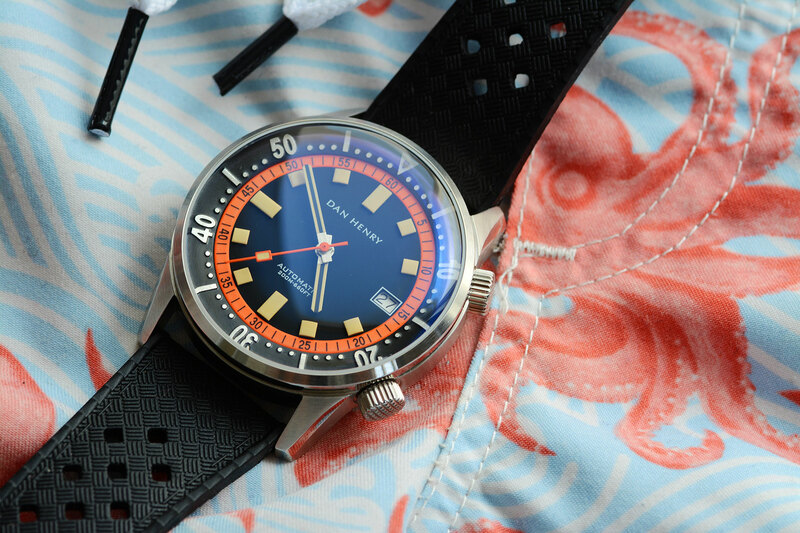 Shipping on a tropic rubber strap and with a handy three-watch canvas roll, the now-streamlined Dan Henry 1970 has plenty of vintage appeal and a boatload of bang for your buck.